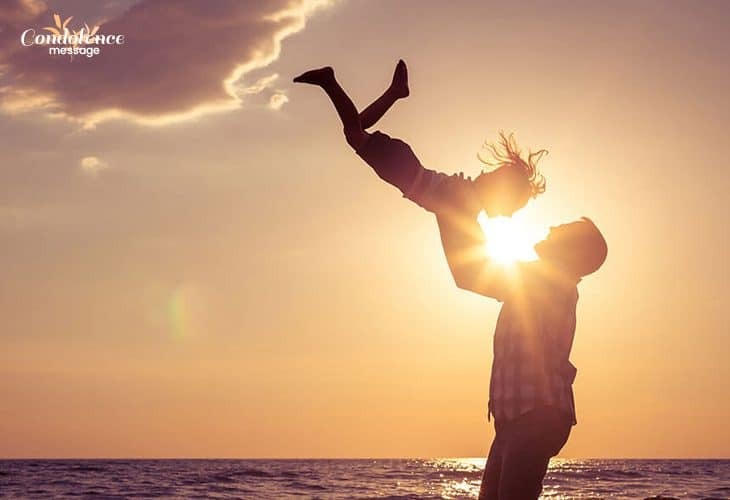 Sharing the soothing sympathy messages in front of a distressed family in their gloomy period can be difficult because you may get confused about the words that can express your sorrow. There may be a good intention to convey condolence for a demised but the unwise choice of words may hurt the sentiment of a mourning family. Your sympathy message should provide comfort to the survivors in a difficult period rather than hurting them. Pleading to the Almighty at the beginning or end of the condolence message may be the best way to show respect to the distraught and the soul of the departed person. Your prayers should show the sanctity of a pure heart with a pious and compassionate note. These types of sympathy messages can really give peace to the deceased person with remedial power to the family. So, pray from your heart and offer heartfelt words in a positive note. Show respect to the religious values and faith of the mourning family by offering holy sympathy gifts and using kind words of remembrance for the deceased. You can also recall his or her presence and praise their contributions in front of the distressed family. This will be a soothing pain-balm to the heart-ache for the survivors and tribute to the departed soul in the journey afterlife. The long words may be annoying to the person who is already in a pain for the great loss. The bereft may have less time to hear or read broad consoling lines during the traumatic period. So, share the particular sympathy lines briefly with a considerate gesture. Make the sorrowful note concise but considerate, and it should ease the traumatic condition. Cherish the fond and beautiful memories of the departed person. Try not to cry or use heart-breaking words in front of his/her family. The cheerful memories of the deceased are the assets of the survivors. So, reminisce the past good recollections of the deceased which are treasured in your heart. Those words may be soothing in the hard times of life. Your sympathy messages should show your painful grief for the survivors in a pathetic moment. Sharing a grief-stricken tone can be the soothing gesticulation and it shows your worry for the bereft. It may not heal the agony completely, but expresses your grief and honest care to your heartbroken friend who lost his or her loved one forever. Offering help may act as a major role in the crucial period. Sometimes, holding the hand or embracing warm hug to the bereft can also speak a thousand words of sympathy and show your worries. You may also help the bereft by contributing physical and financial support, but taking his or her permission is necessary before doing that. Your words should not sound pitiful to a family who has modest principal and self-respect. These can be the best eulogy to the departed soul. Losing someone forever is not an easy thing to accept. The bereaved loses all hopes and get engrossed with the darkness of misery after the pathetic incident. If you share an optimistic sympathy note to the survivors, it may give hope and mental strength to them. Your supporting words may be the great support for the bereft to overwhelm the dark phase. Close the sympathy message with prayer and affection for the retrieval of the bereft. A perplexed empathy note doesn’t sound polite and soothing and it doesn’t heal the suffering of the grief-stricken family. So, remember that the end of the message should always give positive hope to the survivors in the catastrophic period. You may have a look at some heartfelt sympathy messages and share them with your bereft friend or relatives when you hear death news. I will pray for the solace and salvation of the pure soul of your father. I still remember the cheerful smile of Marry ma’am, and her departure cannot obliterate that from my memory. May the pious soul of your granny rest in peace in heaven. RIP. I am really heartbroken with the loss of your brother. It’s just tough to believe his unexpected demise. We tribute warm tears and white flowers with earnest respect to the grave of our history sir. Please accept my honest sympathy for you and your family in the dusky phase of life. I will be glad if you accept a few amounts on the name of your demised mother. Your acceptance will be an honor to me. Please be strong for your family dear friend, and get over the gloomy period. The demise of uncle Andrew is unbearable for every club member in our locality. May the soul get harmonized and bless by the Father of Heaven. Amen! Please do not hesitate to call me whenever you want. We will always recall the dancing skill of Jack and he will be eternal in our hearts by his deeds. A beautiful legacy is left by your mother for you. My good wishes for your peace are now and always with you. Your sister was one of the brightest students in our school and teachers will never forget her after her demise. Those we love always walk beside us a lifetime. So, don’t lament dear, aunty is always with you. My hearty condolences on the passing of your grandfather. What a great person aunt Julie was! Her demise is pathetic news for us. I was honored to be his student. His demise is a great loss for students. Please let me know aunty, how can I contribute on the crematorium of uncle Steve. Words are inadequate to share my pain for the loss of your brother. Really sorry for your loss. I wish I could have helped you to reduce your pain. We want to lift your endurance powers by our prayers. Sincere sympathies. Our broken hearts are mourning and shedding tears for the demise of our friend. I owe respect and love to the soldier who gave his life for the country. In the midst of the sorrow and darkness, may the kind God endure you with the light of hopes and contentment. Condolences for the demise of your child. May the treasured remembrance mend the broken heart of your mom for the demise of your dad. I am pleading you, please be strong for your children and take care of yourself. Deep condolences and earnest prayer for the soul of your father. May the spirit of your beloved grandson rest in peace at the arms of our kind Heavenly Father. Your broken heart cannot be mended with my sympathy note, but my warm hug and honest support are always with you. Do not feel solitary, remember that sister of your other mother is still alive. Sorry to hear your daughter’s passing. I want to share my caring thoughts and prayers for the tranquility of her soul. Loss of your precious soulmate has snatched your hopes. Earnest apologizes for your despair. During this time of mourning, I convey my affection and prayers from the core of my heart. Saddened to hear the passing of your wife. Please accept my sincere sympathy. May every sunrise bring the power of healing and may the sunset bring you serenity. Humble condolences. I promise you to hold your hand in every period of agony. I am really sorrowful with the sudden arrival of the catastrophic period after your husband’s departure. May the time fade all hidden scars in your heart and make you strong and calm. It’s really tough to comprehend this deep loss. May the wings of Angels in heaven embrace your family and provide peace to you. Extending wholehearted sympathy for the decease of your uncle. A great soul never dies and pour a shower of blessing to the family members. We are mourning for the loss of our dear friend and angels in Heaven are rejoicing to meet her. May I donate a small amount of capital to the orphanage on the name of your departed son? I will be honored if you give me permission. I will be glad if you share your grief with me. I promise you to help you with every possible aspect. His honest works for the NGO will always be missed by the members and staffs of the NGO. May God bless his soul afterlife for his noble deeds. Your mother was an inspiration to me. My true respect and eulogy of tears for her. I wish, Kendrick sir lived a few more years with us. Sorry, I cannot express my sympathy with words, but my sorrowful soul is weeping from the core. The clouds of melancholy have engulfed our happiness with the decease of little Lily. I still remember the little footsteps of your daughter and never thought that she will leave an imprint of her memories. Johnny is eternal now and his remembrance is treasured in our hearts. Really miss him dearly. The Almighty will embrace your child in his arms. I will pray for the peace of the little soul. Both of you are connected by the heartstrings of each other and the death of your younger sister cannot separate you. I remember how your mom used to give you medicines, now I will give the medicines to you on time. Donating a small amount of money to the old age home will be my tribute to our uncle. It’s an extreme woe to hear her passing in the last night. Lots of love and prayers for her soul. I know it is difficult to cope up with the grief of loss, but do not feel isolated because I am with you. Don’t be too hard to yourself by suppressing pain. Let the tears flush out your pain in the heart. The time ahead seems bleak without mom’s presence, but I am sure God will hold your hands. Please do not blame yourself for the accident. It was bad luck that death snatched your brother from you. The demise of Tom is unacceptable incident in our life. Honestly, it is hard to come out from this shocking instance. My heart goes out for the orphan children who have lost their parents. Oh my God, please help them. Although your grandfather is no more, his love and blessing are always with you. I want to dedicate a poem to my demised friend with love and homage. I miss you dearly. A body dies but immortality of the soul cannot elope. Your granddaughter will be eternal with her songs and paintings. Oh, Christ! Please help the poor orphan children by holding their hands at this moment of agony. We still cannot believe that Erika was with us in the last Christmas and now she is no more. Her absence will be missed always. My family is thinking of you in this hard time. My blessings are always with you. I will always miss you, dear brother. Death is an unwelcoming incident and it is hard to accept by the family members of the demised person. 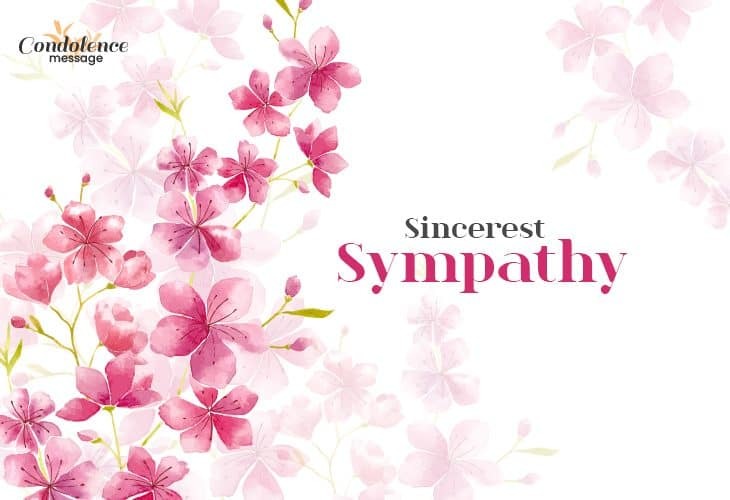 The simple acknowledgement of condolence note may not comfort the survivors, but sharing your sorrow with a kind sympathy message can act as ice to a burn.